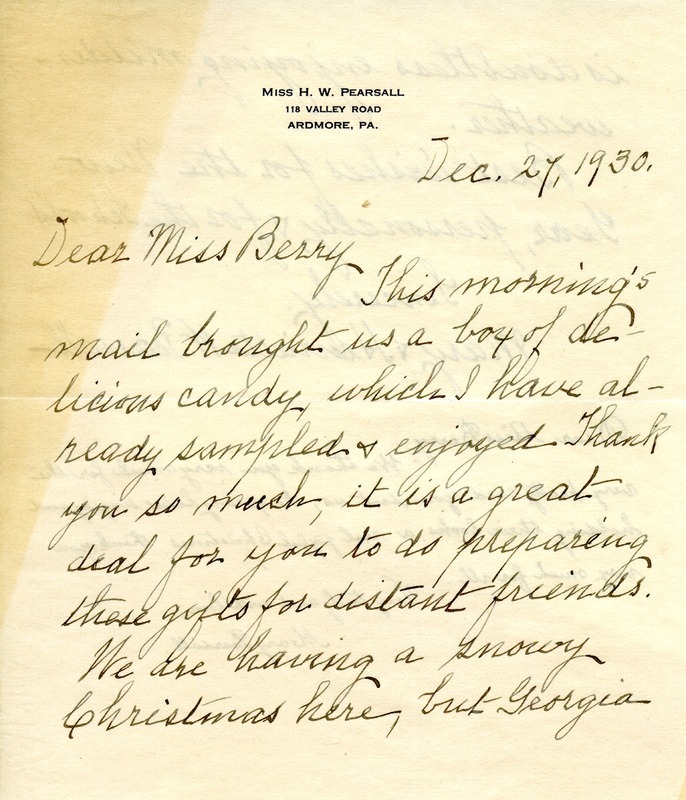 Henrietta and Mary Pearsall thank Martha Berry for the Christmas card and candies she sent them. 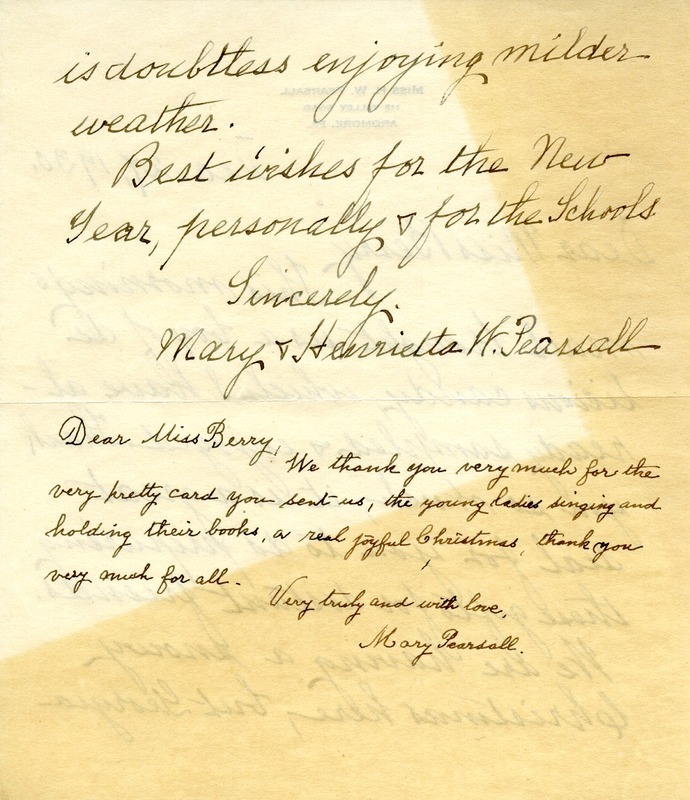 Miss Henrietta W. Pearsall, “Letter to Martha Berry from Henrietta and Mary Pearsall.” Martha Berry Digital Archive. Eds. Schlitz, Stephanie A., Jordan Brannen, Olivia Mund, Chelsea Risley, et al. Mount Berry: Berry College, 2014. accessed April 21, 2019, https://mbda.berry.edu/items/show/13677.